We sing it each Christmas: Joy to the world. But do we have it? 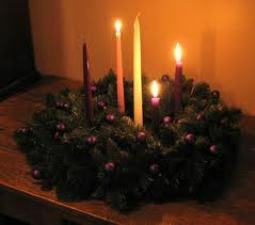 The first Sunday of Advent is the day of joy. Today we sang “Joy to the World,” Isaac Watt’s great hymn based on Psalm 98. He wrote “Joy to the World” as a hymn, not a Christmas carol. Centuries later it was incorporated into a Christmas program and embraced as a Christmas carol. And why should we? A look at Psalm 98 answers that question. First of all, we have joy because we are redeemed. Verses 1 and 2 talk about the “new song” we should sing because God has made His salvation known. Salvation wrapped in swaddling clothes. The hope of the world lay one cold winter's night in a rude manger bed. He would know harsher times--pain and betrayal--in order to redeem us. We have joy because we’re restored. Verse 3 tells us He has remembered his love and faithfulness to His people. Not that He ever forgot—He has underlined it, emphasized it, committed to it once again. And because He has restored us, we and the creation will be relieved from death and decay (Romans 8:19-21). There’s joy in our restoration, as the babe who lay in the manger one dark night works today and tomorrow from on high to bring all things into the Father’s plan. We have joy because we are rescued. The rivers can clap their hands (verse 8) because He will be back to gather us in. We’re rescued by His grace hourly, daily, and forevermore. Advent is more than looking back to the manger; it catches a glimpse of not only the cross but the empty tomb and, most of all, the eastern sky. Speak of your joy. Let it move you to action as you reach out to open a door, thank someone, stoop to help…and tell of its source. Let your joy slosh over on those around you. Be “joy to the world” today. I love your alliteration here, Laura Lee. These are great words that describe and remind us of our Father's amazing love. Very encouraging post! I know it will help me to be more joyful today! Thanks, Laura. All beautiful reasons for us to have joy--reasons that go deeper than our current circumstances ever can. Beautiful, Laura! He gives me joy in ways I cannot even explain. Just because of who he is. It takes me by surprise because it comes from nothing seen. Joy unspeakable. I love this. Something to carry with me through the day-be joy. Those are some great ... R's.